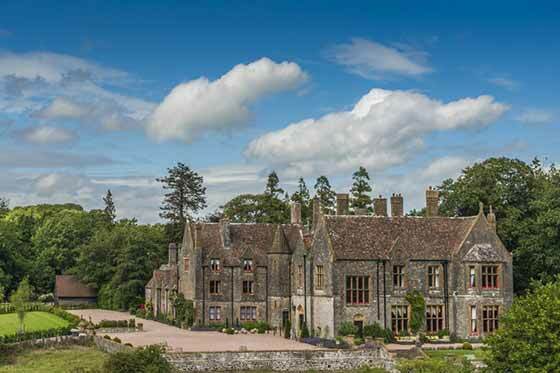 Huntsham Court is a private and historic Grade II* country house situated in the heart of the Huntsham Estate, surrounded by stunning valleys and signature drives. 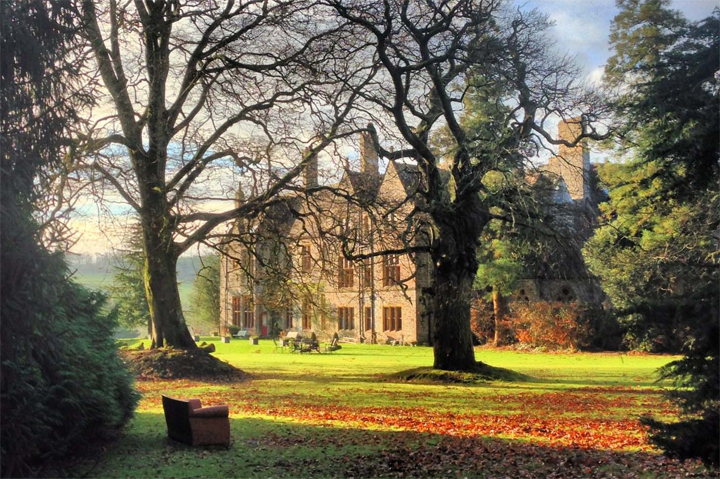 By special arrangement for the 2019 season, Huntsham Court is delighted to offer exclusive 2 night accommodation to Huntsham Sporting parties in the relaxed grandeur and privacy of the mansion house with its state rooms, luxurious master bedrooms and en suites. Within moments guests can go from the warmth of the house to being in the field, optimising time outdoors. 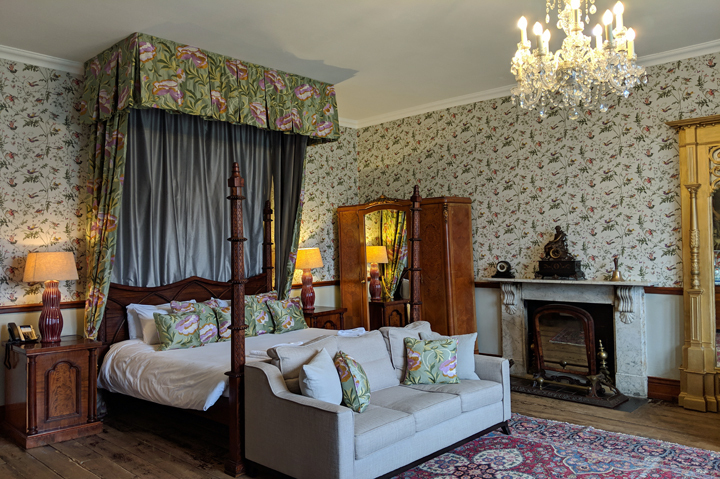 Those who are not out shooting can enjoy the house throughout the day; relaxing in our sumptuous reception rooms, historic library and gardens. TEA: Home baked cake and tea welcomes you at arrival. 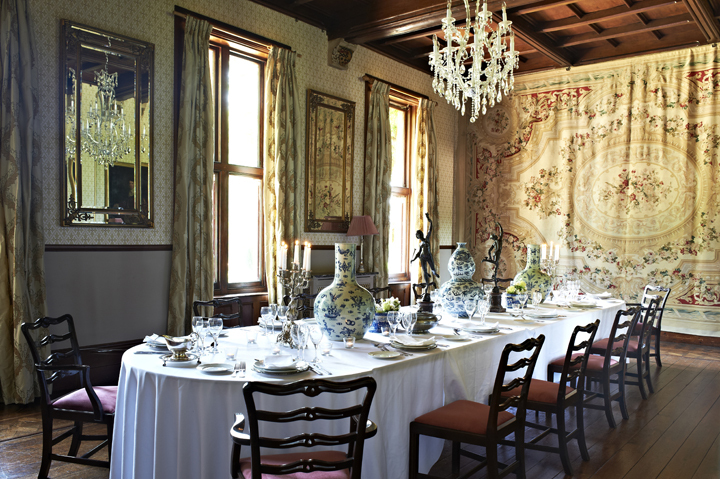 DINNER: A 3 course, country house supper by an award winning caterer. BREAKFAST: a locally sourced, cooked Devon breakfast. TEA: home baked cake and tea. DINNER: Created by your private chef - canapés followed by a 3 course dinner and evening cheese board. BREAKFAST: a hearty cooked breakfast to set you up for the day, so you're ready to put your best foot forward in your perfectly polished shoes from our overnight shoe shine service. Fine food, sumptuous bedrooms & no corkage! 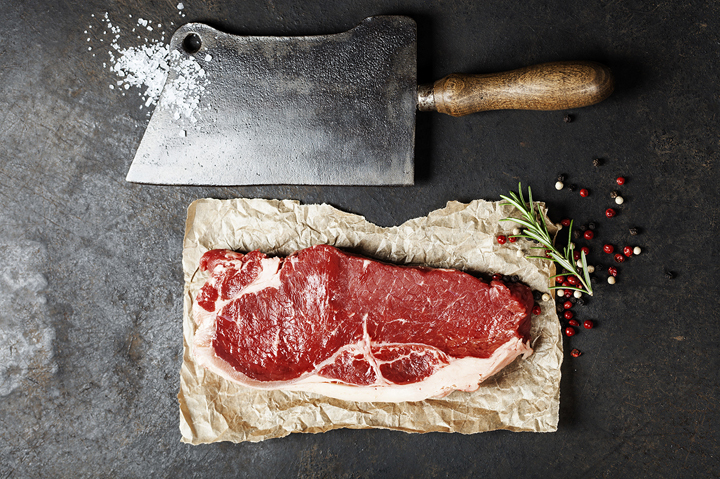 Our special Huntsham Sporting package has been designed to compliment your shooting experience, celebrate the best of the South West and enable non-sporting guests to indulge in all the house has to offer during the day with wonderful fine dining for your entire party too. 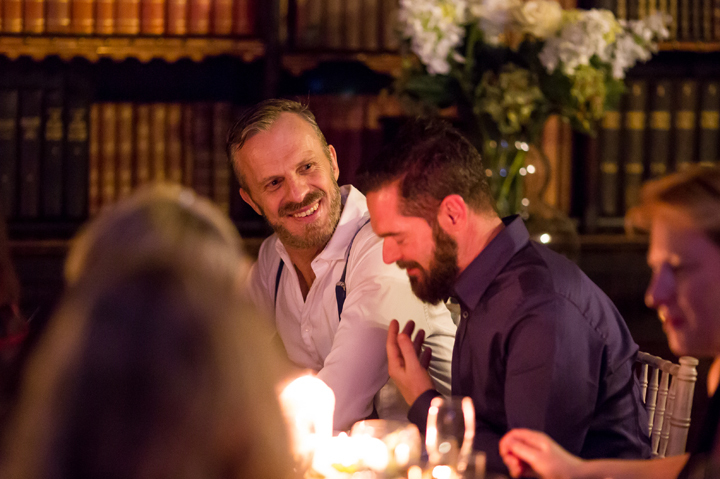 These are exclusive tailor-made stays for shoot parties who are welcome to bring their own fine wines or use our cellars with no corkage charge when you buy our champagne or spirits. Additionally, spa and well-being bolt-ons are available for guns and partners by separate arrangement. Stays include a dedicated pre-stay concierge to help plan your stay and cater for your exact needs. 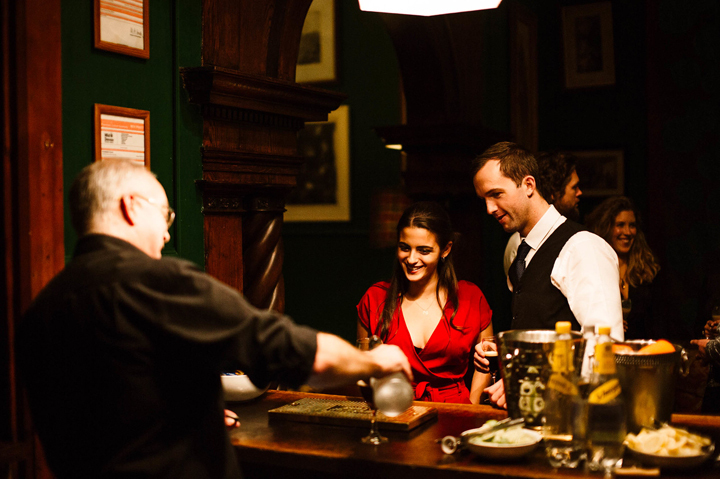 They can assist with pre-paid room bars or floral displays, staffing options and bespoke dinner menus. Sample menus, packages and prices on request. 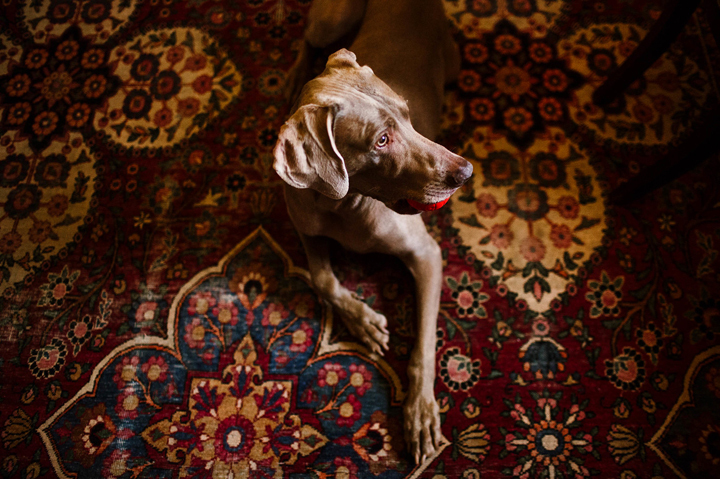 A quintessentially English historic country house where you feel a million miles away from busy, hectic lives. Each of our panoramic reception rooms has the grandeur of a stately mansion steeped in tradition, yet with the intimacy and modern comfort you’d expect at home. 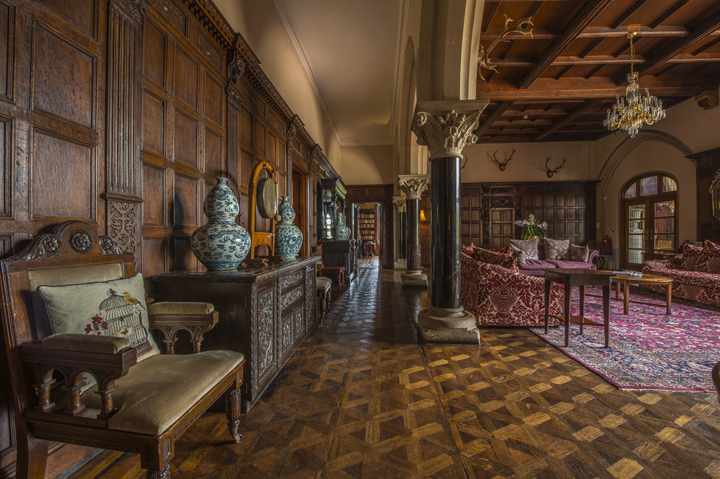 You can kick back in our Library lined with antique books; have pre-dinner drinks in the warmth of our Great Hall with its marble columns, stone arches and Jacobean panelling; or relax after dinner in the Snug Bar with its art collection and roaring fire. Not to mention the mature gardens, incredible views and discrete staffing tailored to suit your style and budget. Click here for more about the house. 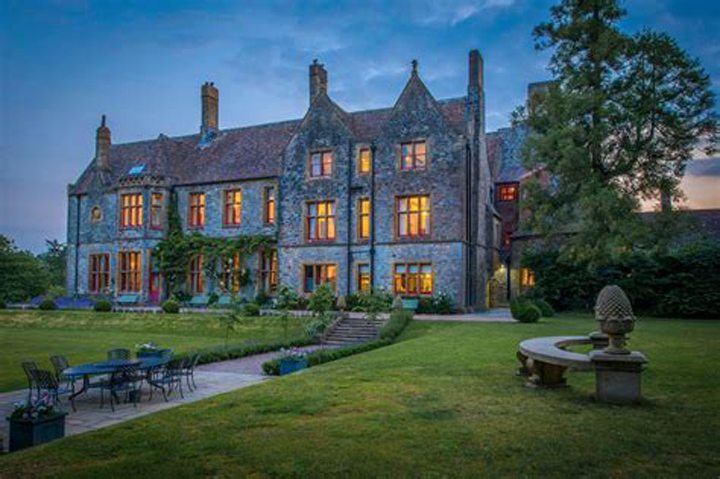 You can book Huntsham Court with 8-18 incredible, uniquely designed and furnished en-suite master bedrooms all with luxury 6ft super king beds. We additionally have a further 22 bedrooms available for non-sporting guests or your support staff & drivers depending on your needs. As an historic country house we can arrange separate dining and lounge areas for staff & drivers if required. Click here to view our bedrooms. A stunning private stately home. The house has a decadent gothic exterior with impeccably decorated interiors. The house and its decor is amazing – the only thing that could have been better for our three night stay would have been another three nights! True Gothic splendour. Beautifully restored, each bedroom is quirkily individual but all are designed with comfort in mind. Perfect. From beauticians to yoga teachers, massage therapists to hair stylists - most note worthy is that we know them all. We are in the heart of rural Devon and as a result we have a plethora of activities on our doorstep. As you would at home, you can either use our play lists or stream your own music to suit your tastes and mood. We even have several pianos on which you can tickle the ivories, or arrange for a professional to provide some cocktail hour ambience.